The writer Zane Kotker was born Mary Zane Hickcox in Southbury, Connecticut, in 1934. 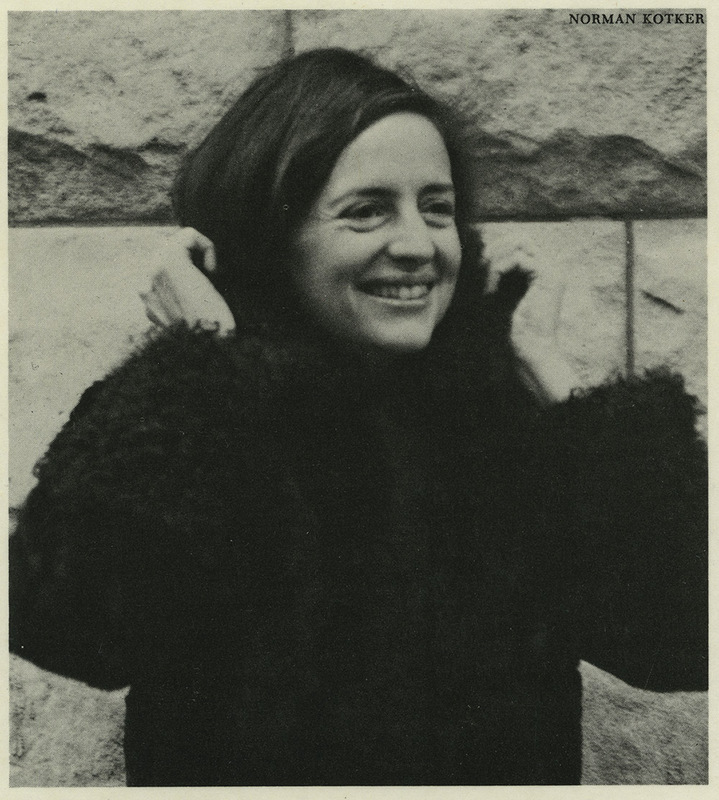 After graduating from Middlebury College (1956), Kotker led a busy life working short stints in and out of Manhattan as a secretary, researcher, writer, teacher, and editor, collaborating on the side with a friend to publish a little magazine while earning a master’s degree in history from Columbia University. In 1965, she married a fellow writer, Norman Kotker, and while raising their two children, David (born 1967) and Ariel (1969), the couple began writing in earnest. An editor at Horizon Books, Norman used his weekends to write his first book, The Holy Land in the Time of Jesus (1967), following up with two novels, Miss Rhode Island (1978) and Learning About God (1988). A stay-at-home, free-lancing mother, Zane used her “free” time for writing as well, completing her first novel by taking advantage of a babysitter on Tuesday and Friday mornings, and going on to publish five other novels, numerous short stories, and a volume of poetry. Norman Kotker died in 1999 years after first being diagnosed with multiple sclerosis. Zane Kotker continues to write and publish; her novella Goodnight Ladies was released in 2016. The records of a highly productive literary couple, the Zane and Norman Kotker Papers contain manuscript drafts, notes, research materials, correspondence, and reviews. Reflecting both the co-operation and the competition connecting married writers, the collection offers insight issues ranging from the financial challenges of supporting the writing careers of two novelists to the challenges of a woman attempting to define herself professionally during the early 1970s and the publishing scene in New York City in the 1970s through 1990s. The collection also include materials related to the founding of the Well Spouse Association–Zane was a founding member of the organization created to provide a support system for individuals caring for chronically ill and/or disabled spouses–including her nonfiction writing published under the name Maggie Strong. The Linguistic Atlas of New England project, begun in 1889 and published 1939-1943, documented two major dialect areas of New England, which are related to the history of the settling and dispersal of European settlers in New England with successive waves of immigration. The collection contains handwritten transcription sheets (carbon copies) in the International Phonetic Alphabet, with some explanatory comments in longhand. Drawn from over 400 interviews conducted by linguists in communities throughout New England in the 1930s, these records document the geographic distribution of variant pronunciations and usages of spoken English. The material, taken from fieldworkers’ notebooks (1931-1933), is arranged by community, then by informant, and also includes audiotapes of follow-up interviews (1934); phonological analyses of informants’ speech; character sketches of informants by fieldworkers; fieldworkers’ blank notebook; and mimeograph word index to the atlas (1948). The Massachusetts Review is an independent quarterly of literature, the arts, and public affairs. Co-founded by Jules Chametzky and Sidney Kaplan in 1959 to promote eclectic, nontraditional, and underrepresented literary and intellectual talent, the Review has been an important venue for African American, Native American, and feminist writers and poets, mixing new and established authors. The records of the Massachusetts Review document the history and operations of the magazine from its founding to the present, including general correspondence and nearly complete editorial files for published works. The collection also includes a small number of audio recordings of MR2, a radio show hosted by Review editor David Lenson with interviews of writers, artists, and cultural critics. Author, English professor, and University of Massachusetts alumnus (class of 1941) Harold T. McCarthy taught at the University of Massachusetts from 1959 and into his retirement in the late 1980s. In addition to his books on Henry James (1968) and the expatriate perspective on the idea of America (1972), he wrote fiction and poetry as well as critical articles on Nathaniel Hawthorne, Mark Twain, Herman Melville, and Richard Wright. The McCarthy collection includes correspondence, typescript manuscripts, poems, travel journals, and class materials including syllabi and lecture notes. Born in 1930 in Delaware, Ohio, Margaret Theodora “Teddy” Milne, graduated from Boston University in 1952 before attending the University of Paris in 1953-1954 for post-graduate studies. Milne moved to Northampton, Mass. in 1959 to teach at the Northampton School for Girls. She married Alexander W. Milne, general manager of radio station WHMP, in 1965 and together the couple had three sons: Timmon, Peter, and James. Milne worked as a writer, serving as a reporter and copy editor at the Daily Hampshire Gazette, before establishing and editing two journals focused on peace: Laser, a children’s newsletter, and Compassion Magazine. She owned and operated the Pittenbruach Press, which published her journals as well as several book she authored, including Peace Porridge (v. 1-3, 1987-1995), War is a Dinosaur (1987), Solo Publishing (1990), Mooncakes and Flower Beans (1994), and Calvin Coolidge Doesn’t Live Here Any More (1994), and contributed articles, stories, and crossword puzzles to magazines and newspapers. As an active author and peace activist, the Teddy Milne Papers cover all of her primary passions from parenting and teaching to publishing and anti-nuclear activism. The collection contains photographs and newsletters from her days as a teacher at the Northampton School for Girls as well as articles and columns she prepared for the Daily Hampshire Gazette. There are extensive records documenting the Pittenbruach Press, which Milne operated, including materials related to the journals and books she published. 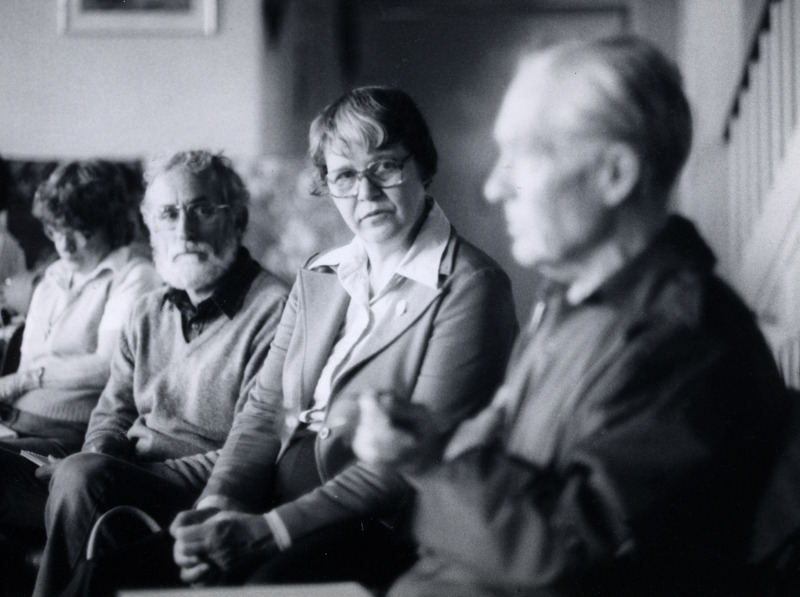 A series of letters along with files related to committee work and Milne’s membership in Quakers United in Publishing (QUIP), reveal the important role her Quaker faith played in her life. When her first novel, Vanished, was published in 1988, Mary McGarry Morris was immediately celebrated as a haunting and powerful writer of character-rich novels. A finalist for the National Book Award and the PEN/Faulkner Award for Fiction, Vanished was followed by seven more acclaimed novels: A Dangerous Woman (1991; released as a feature film in 1993), Songs in Ordinary Time (1995; a selection of Oprah’s Book Club), Fiona Range (2000), A Hole in the Universe (2004), The Lost Mother (2005), The Last Secret (2009), and Light from a Distant Star (2011). Morris was born in Connecticut, grew up in Rutland, Vermont, and with her lawyer husband, Michael, has long lived—and raised five children—in Andover, Massachusetts. In her forties when Vanished was published after years of writing in near-secret, Morris has a gift for illuminating and shading the banalities, the urges, and the often fragile relationships that define and disrupt her characters’ lives and the fictional New England towns they inhabit. Her work has drawn comparisons to Steinbeck and McCullers. The Mary McGarry Morris Papers consist of numerous drafts of her novels, including many handwritten pages and notes, as well as correspondence, book covers, clippings, and other material relating to the publication and promotion of her works. In addition, there are many early stories and some poems. This holograph copy of Morris’s short story was prepared for the Kelmscott Press in 1894 and printed in a run of 500. The first American edition appeared later that year, published by Thomas Bird Mosher. Established in 1901, the New England Association of Teachers of English (NEATE) was the first association of English teachers in America. Through conferences, executive board meetings, and the regular publication of The Leaflet, NEATE aimed to bring together New England’s English teachers to study the methodology and history of the field, as well as observe innovations and new practices in the world of education. While the collection is expected to grow, it currently consists of meeting minutes, conference records, correspondence between members, issues of The Leaflet, two published histories of the organization, and two early record books of NEATE ranging in date from 1901-1938.